February 15th marked International Childhood Cancer Day. In Nairobi, there were two big events to commemorate the day. several individual volunteers with Hope 4 Cancer Kids and independent volunteers. 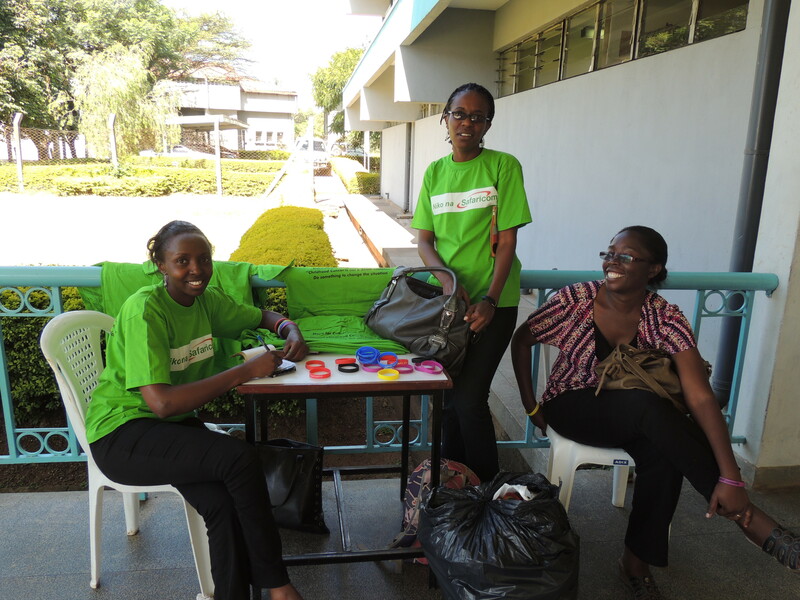 KEHPCA staff help sell wristbands and t-shirts. There were speeches by H4CK, a patient’s mother, a pediatric patient, and even a prayer by one of the young patients. A pediatric patient’s mother gives a touching speech. 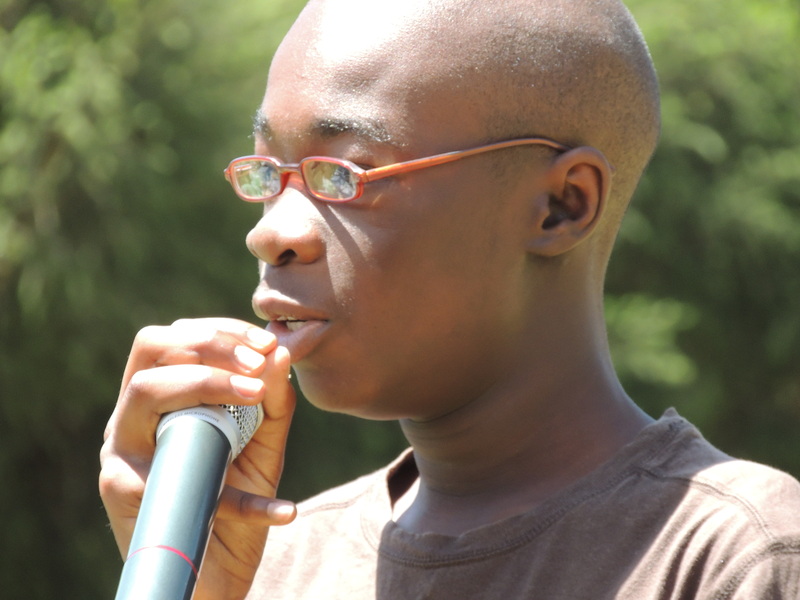 A (long-term) pediatric patient talks about the challenges of living with cancer. 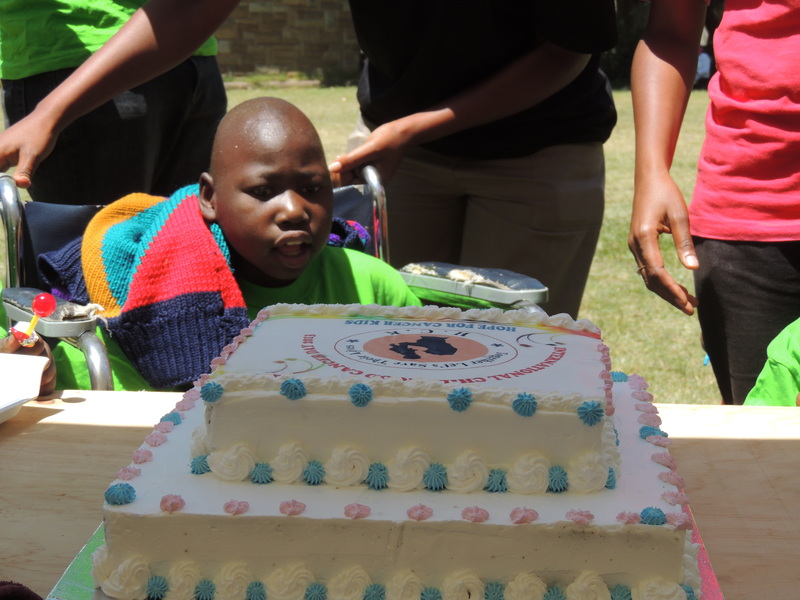 After the cake cutting, there was dancing and game playing … and many (much-need) smiles! 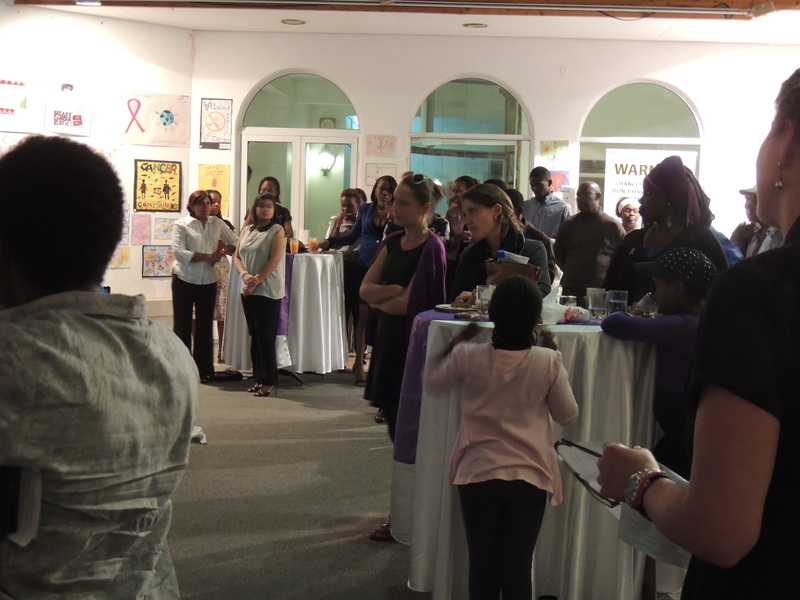 On the same evening, KCA hosted a cocktail reception to launch their Art for Cancer Auction to raise funds for treatment of children with cancer at Kenyatta National Hospital. 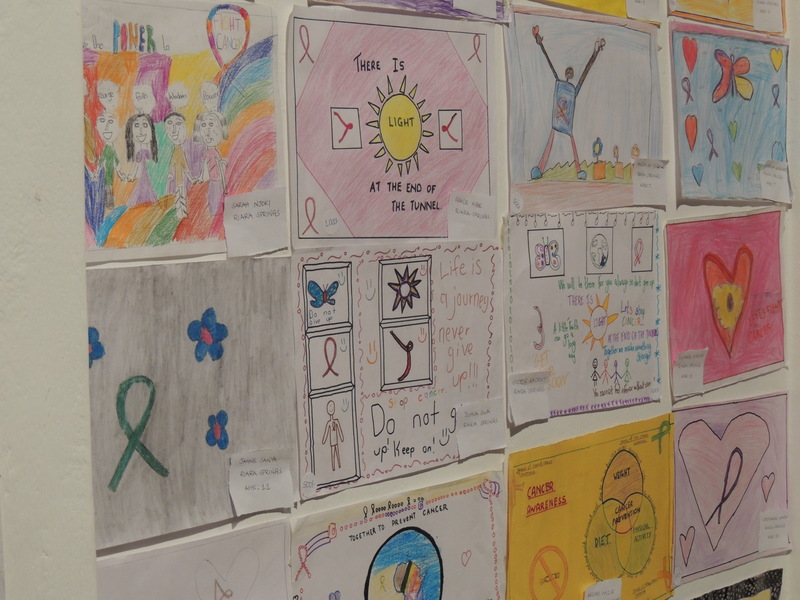 Examples of artwork at Art for Cancer auction. 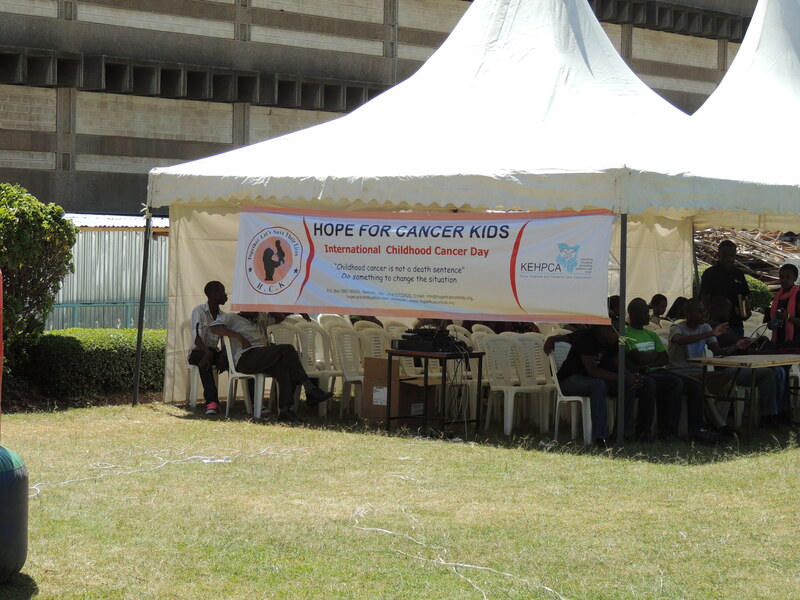 The event was well attended by KCA volunteers, KEHPCA, Hope4Cancer Kids, representatives from schools that entered the art contest, other area artists and cancer advocates. Audience at Art for Cancer launch event. The KCA leadership team, including the night’s MC, David Makumi, made the event a good mix of humor, advocacy and a call for action. Guest speaker, Donatella Lorch, addresses the crowd. 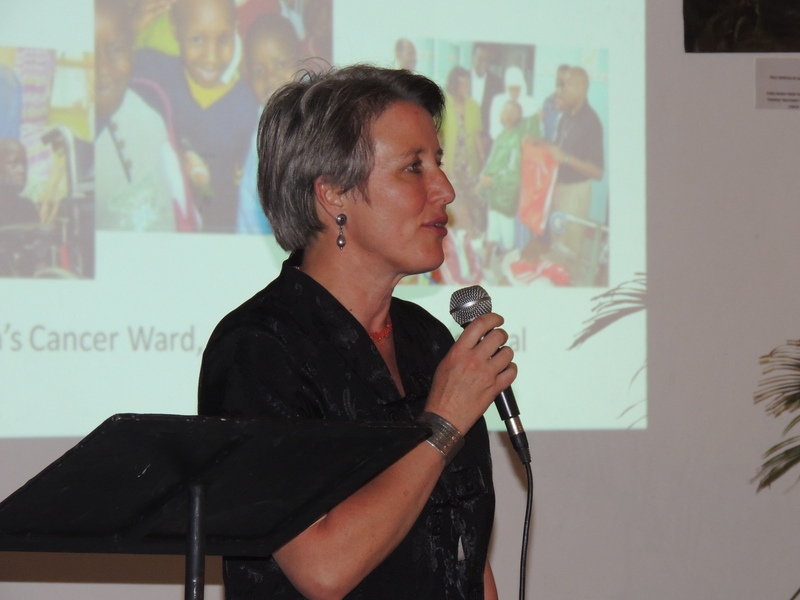 The guest speaker was Donatalla Lorch, international journalist and wife of the World Bank Country Director, and additional talks were given by Dr. Jessie (pediatric oncologist at KNH), Anne Korir (KCA Chair), a pediatric cancer patient’s mother (and brief hello from the young ‘graduate’), and a 26-year old pediatric cancer survivor (and CEO of his own company!). Cancer survivor gives supporting words. Prizes were given to the top art pieces, and the auction will continue to Wed Feb 20th — so get over to VIllage Market (2nd floor) to buy some art and support the kids at KNH. 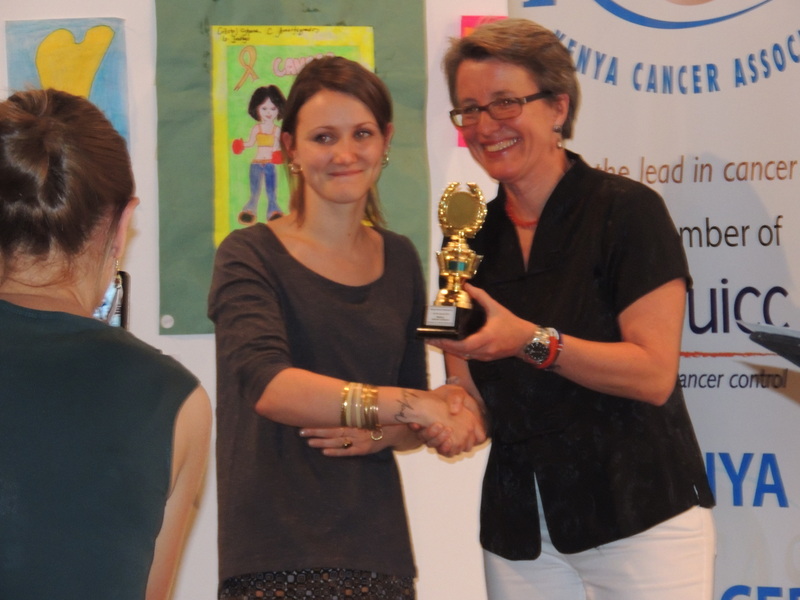 The art teacher from one of the schools receives an award on her student’s behalf. 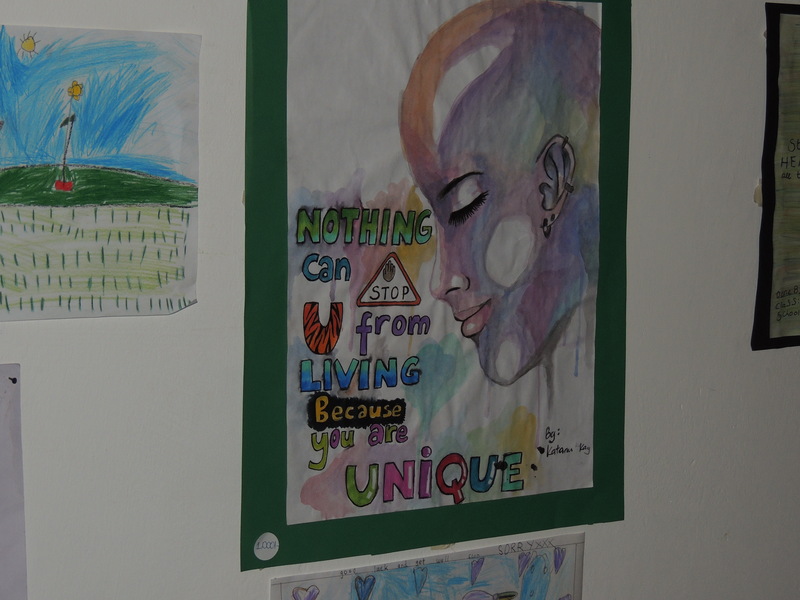 Another example of art from the auction to support children with cancer. 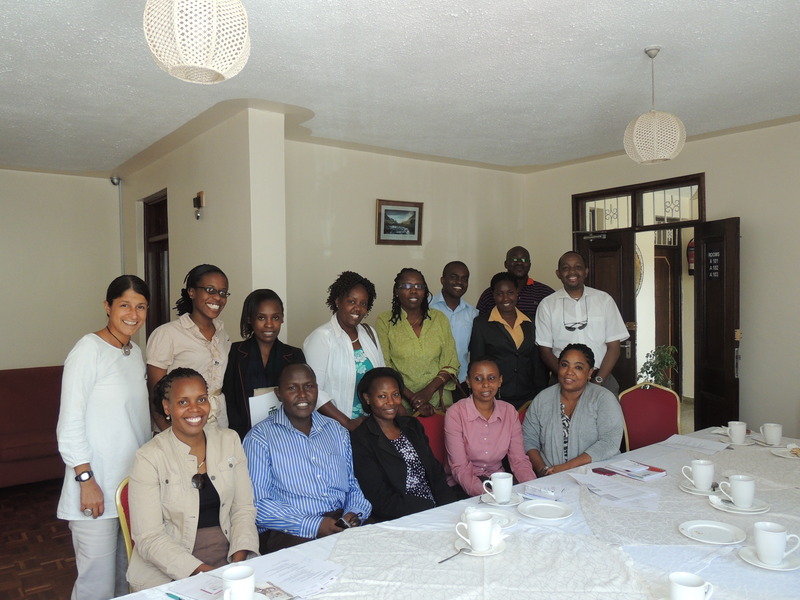 On February 8th, 2013, sixteen representatives from ten cancer organizations in Kenya convened near the Yaya Centre in Nairobi. The group varied from focusing on particular cancers (breast, prostate, etc) to particular specializations (prevention, palliative care, complementary therapies, etc). However, all agreed that by working together, the reach of each organization can go farther, and the unified force can impact policy, media coverage, patient advocacy, international recognition, and much more. 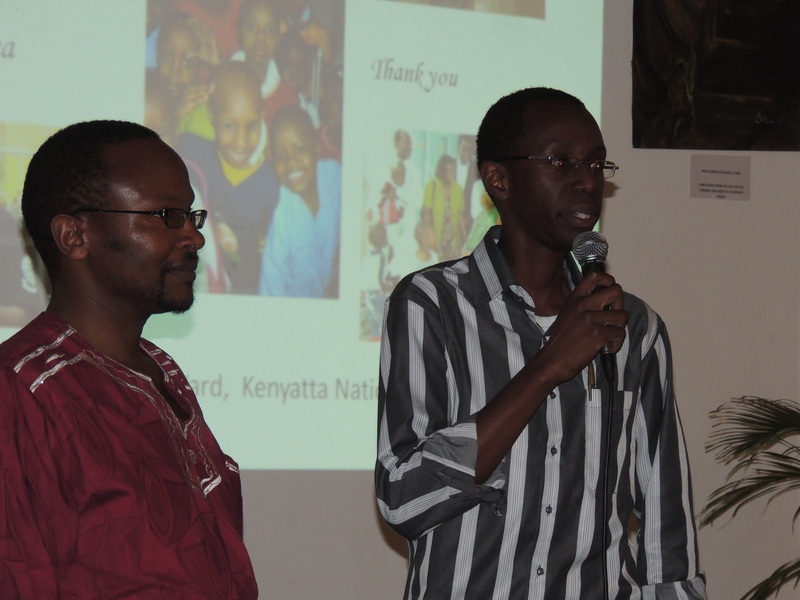 And thus, the foundation of the Kenya Network of Cancer Organizations was laid. 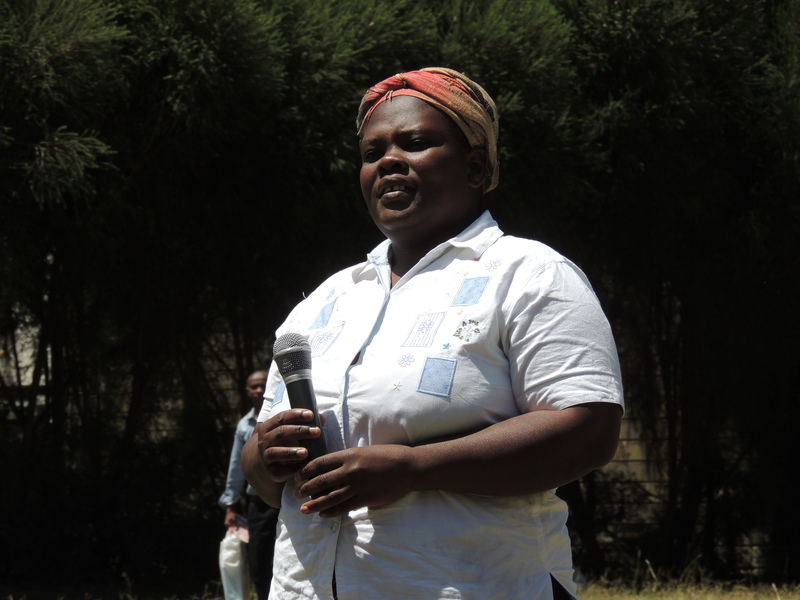 In the coming months, the group will develop a constitution, register as an NGO, develop a plan of action, etc. Stay tuned for great things to come! Several attendees of the Feb 8 meeting of the Network.